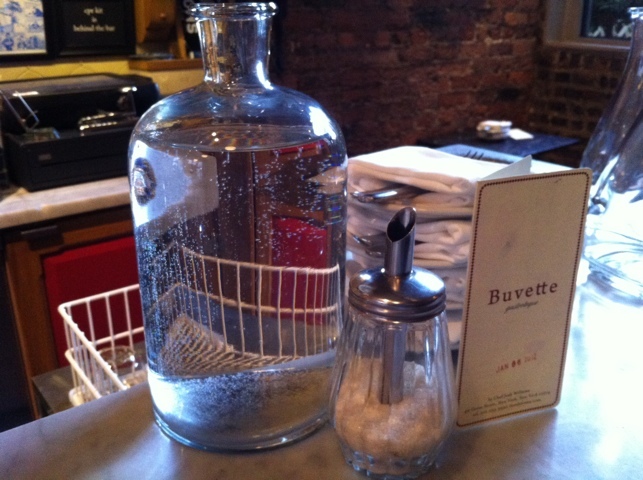 Rarely has there been a time in last 5 years or so, that I or we have not had a breakfast at Buvette if we are in NYC. I have had countless memorable meals there with friends as well as have dined solo when a quick trip into the city for biz calls. Yesterday it was with our friend CoCo from Portland who was also walking the show buying for her shop. 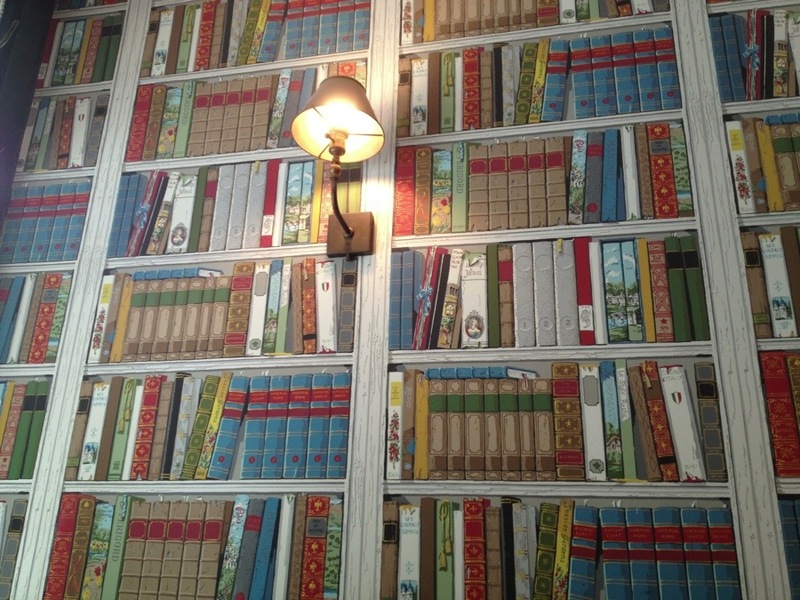 It is always fun to see this incredibly special eatery through new eyes. 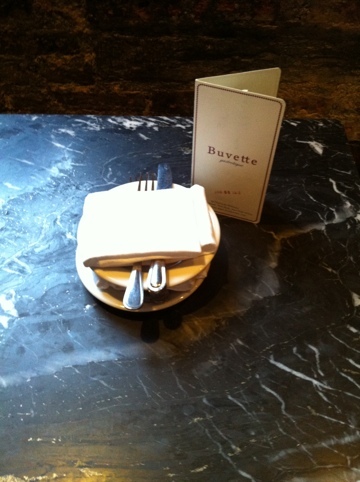 Buvette opens at 8 in the morning and serves continuously throughout the day, closing at 2 in the morning. 7 days a week. So really anytime you are hungry, it is open. They don’t take reservations and the space is petite, but I have never ever waiting very long to get a table. Actually, I rarely have ever had to wait. Yet the space is always busting with stylish New Yorkers, so people watching is a delight. The food, out of this world. 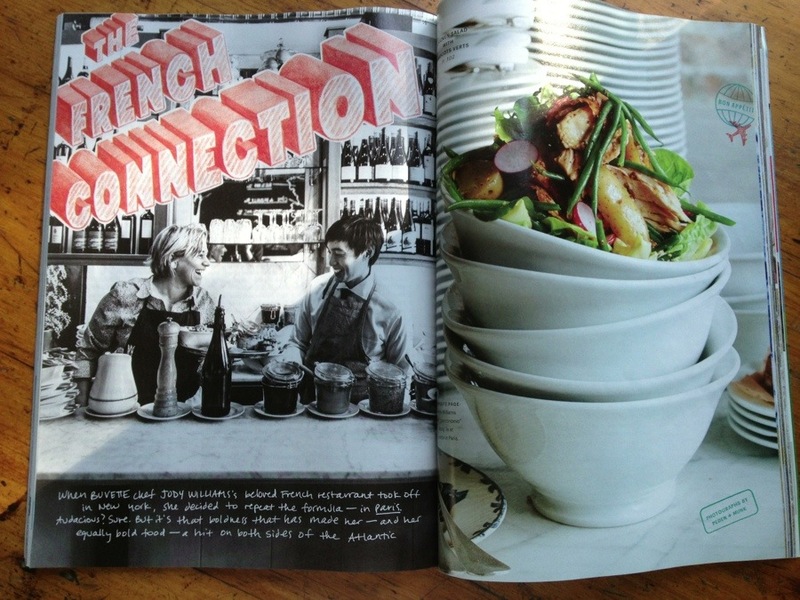 Chef Jody Williams has a way of turning everything into something sublime. Whether it be a meal or a space. 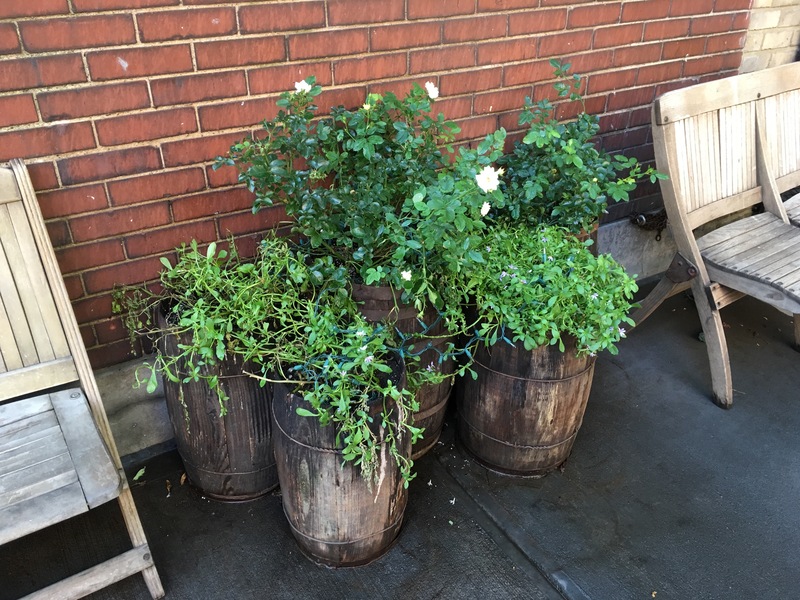 Even the planters outside are divine. No detail has been missed. You feel transported to a slower time, with a bit of Paris thrown in. Both of those feelings rate pretty high in my book, especially when in the city where all moves at lightening speed. It is always such a treat to just ‘be’ there. This is what happens when I forget about something I really want to write about and also how quickly time flies. 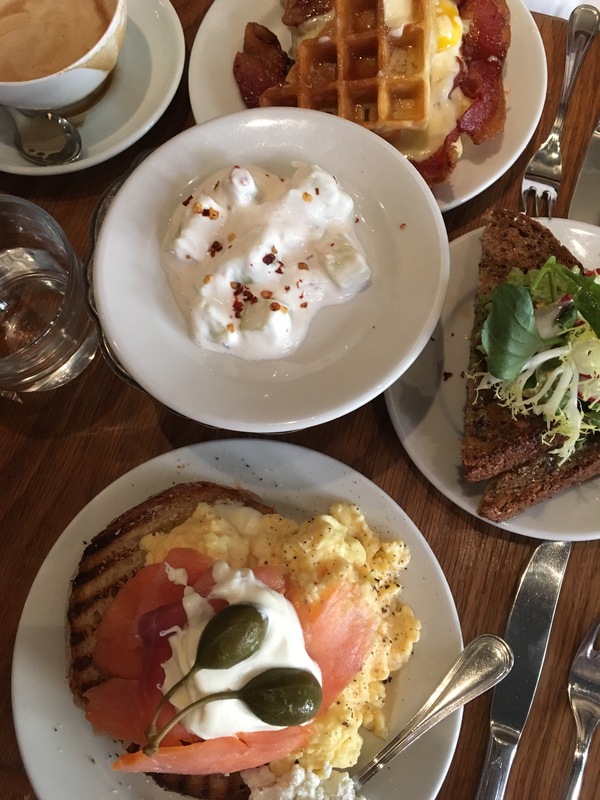 I had such great intentions of writing this post shortly after I dined at Via Carota on our last trip back East. Then time passes and I realize I have forgotten to write about this gem. Today is the day. 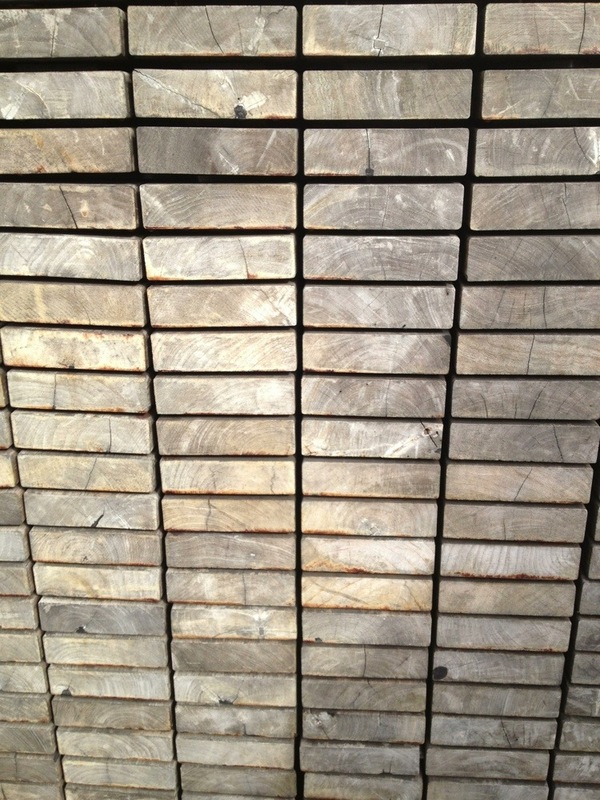 Lucky for us, it will be around a good long while, so my tardy post is not really a worry. 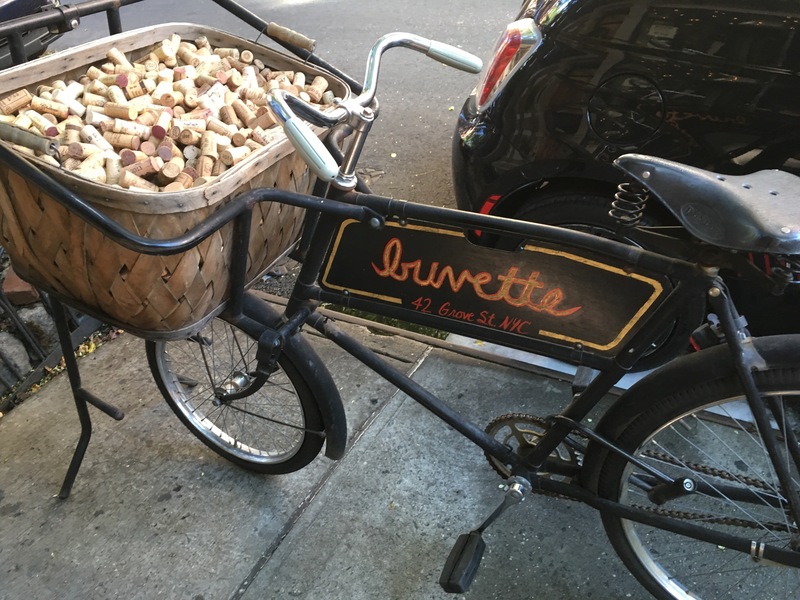 Via Carota is the new restaurant that was created by Jody Williams of Buvette fame along with her partner in life, Rita Sodi, of I Sodi fame. To say I was in heaven when I walked in the door is an understatement. The space just feels good. 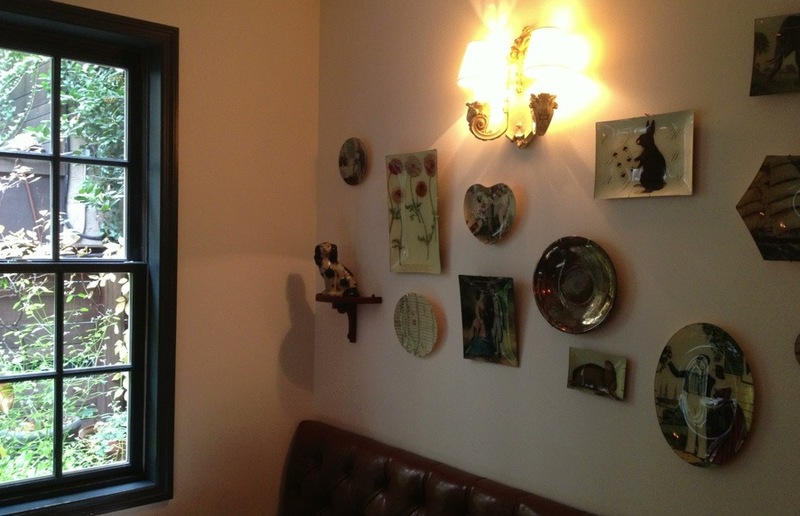 Jody is a master at creating rooms that make you feel comforted & welcome. I actually was feeling a tad under the weather that night, but I mustered all my energy as I just could not wait until the next trip to enjoy a meal there. I went solo and sat up at the bar, which was a perfect perch for taking in every glorious detail. The happy energy in the room by happy diners was palpable. 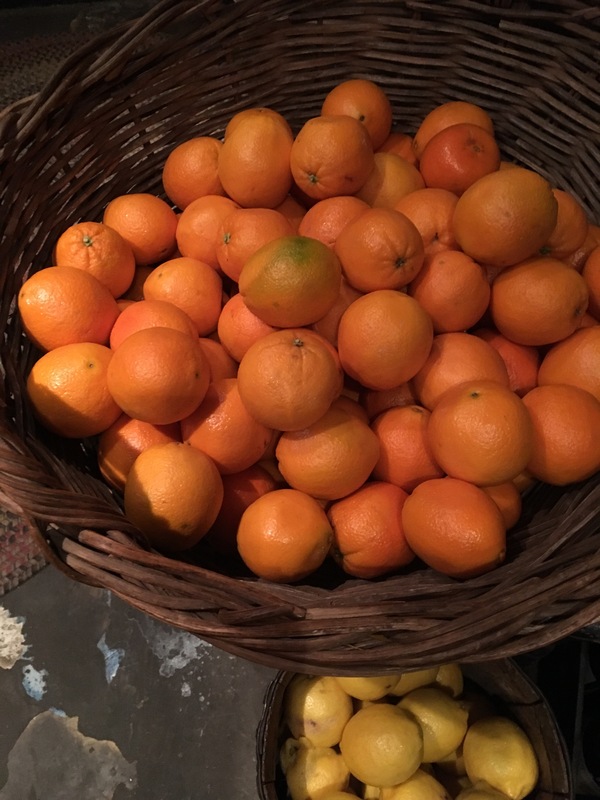 Walking and buying at a show can be so draining as it is a non-stop day of buying/talking with folks, that I just soaked up being alone and let the experience of being there and not really talking and just enjoying the food & environment take center stage. 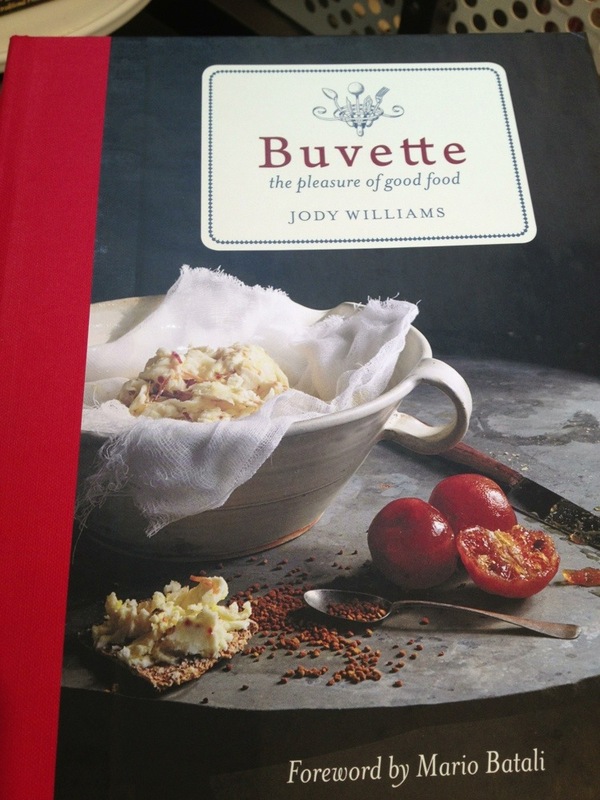 Rita is known for her sublime Italian fare, combined with Jody’s attention to simplicity of flavors at Buvette. 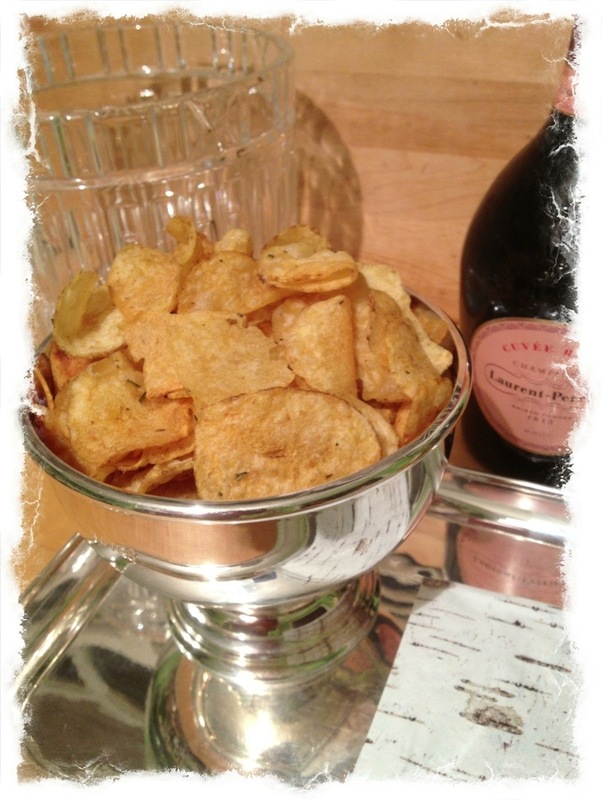 Mix the two together and the meal and presentation are flawless. The Meyer lemon risotto tasting like Meyer lemons and perfectly cooked. The citrus salad with shaved red onions and black olives just so pure in their flavor with just the lightest dressing of oil. 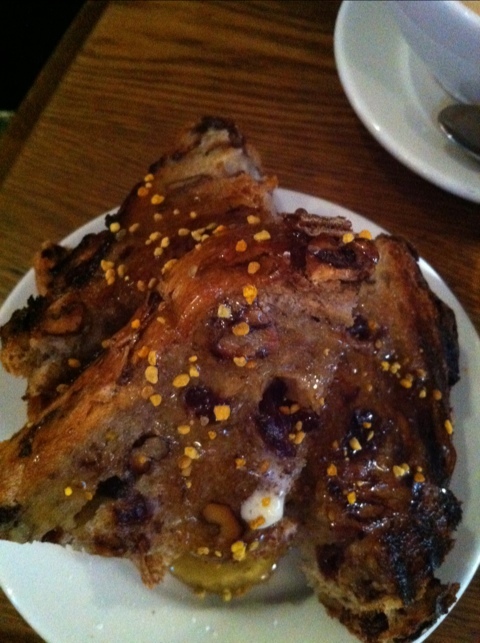 Even the bread was creatively presented stacked on a small vintage plate topped with extraordinary olive oil. Add a glass of dry white wine and it made me feel like I was sitting in a little bistro in Italy on a sunny day, where in truth, it was freezing cold outside and snowing. The meal and the experience transported me. 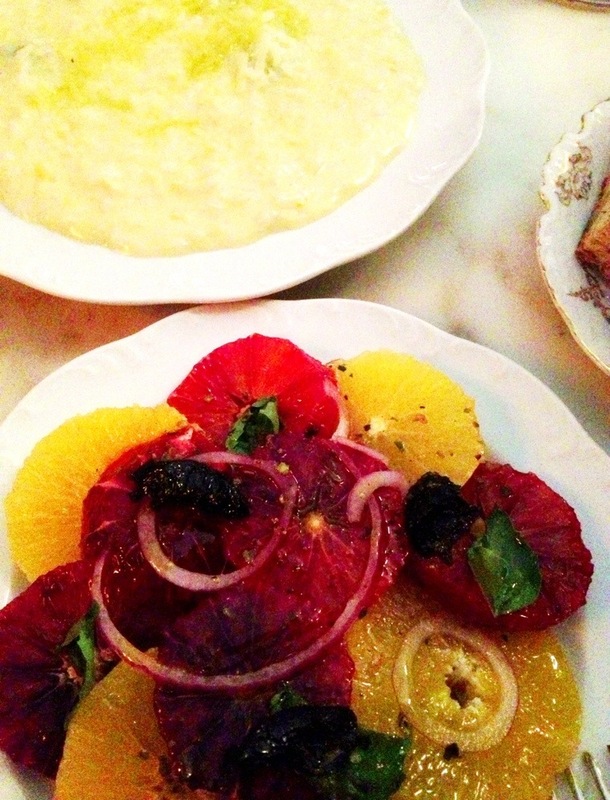 If you get a chance to eat at Via Carota when you are in NYC, do. You will be so happy you did. 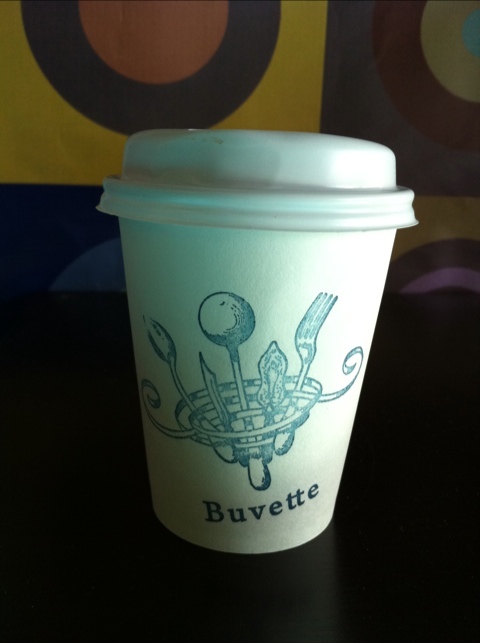 It is right down the street from Buvette on Grove. 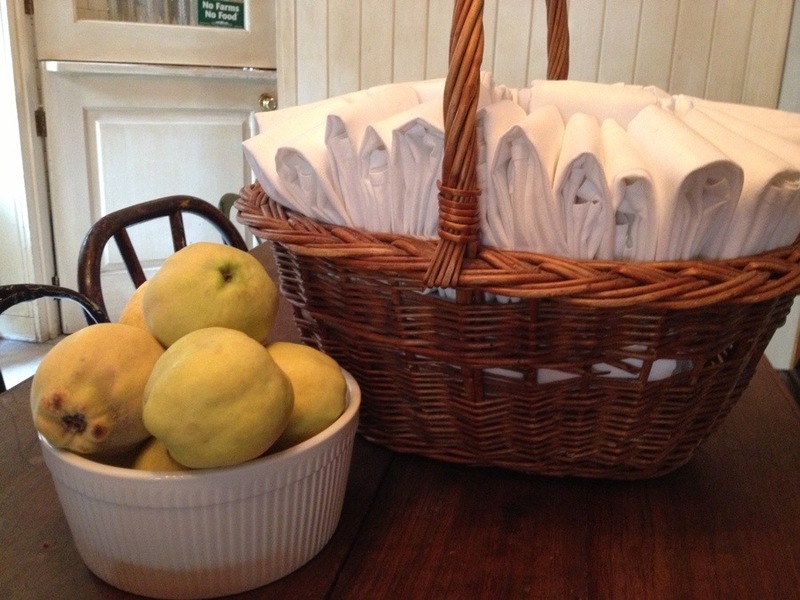 They don’t take reservations, so go as a small group, twosome, or solo and sit up at the bar. I am smiling quite contently as I type this as the thought of it all washes over me. 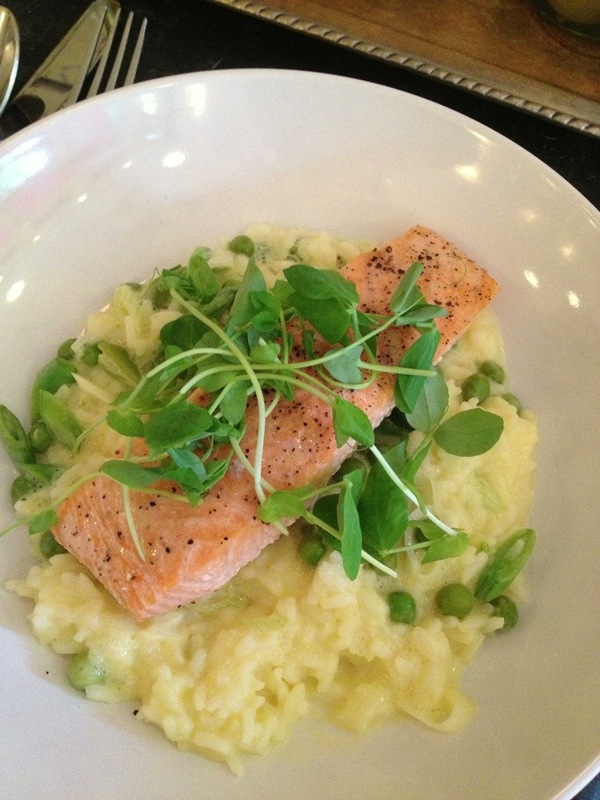 This is what a stellar meal/dining experience does–it should stay with you and create a memorable memory. 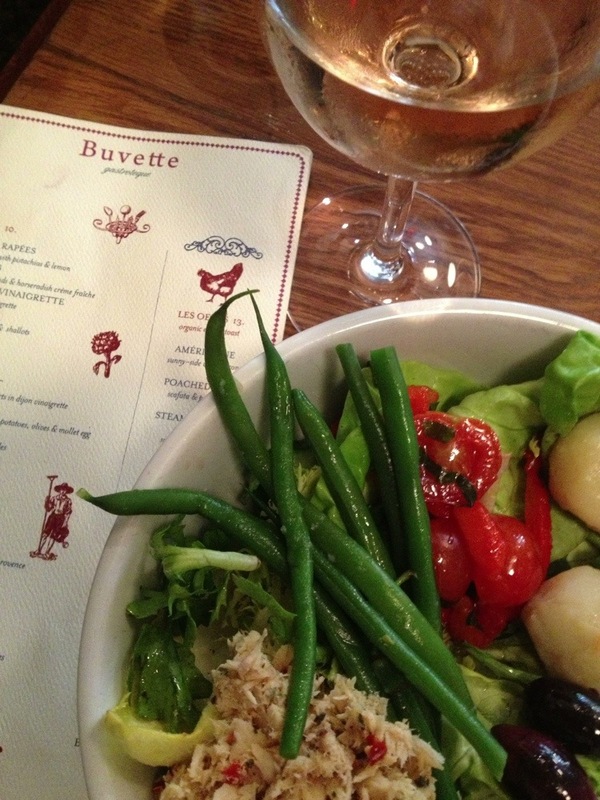 I have wanted to try and recreate this Niçoise salad since I had it last June at Buvette. Last night was the night. I have such fond memories of enjoying it with a glass of rosé, still a bit high from the excitement of seeing Hawthorne in person for the first time. I had flown to see the house and confirm our offer we had made from photos a few days before. 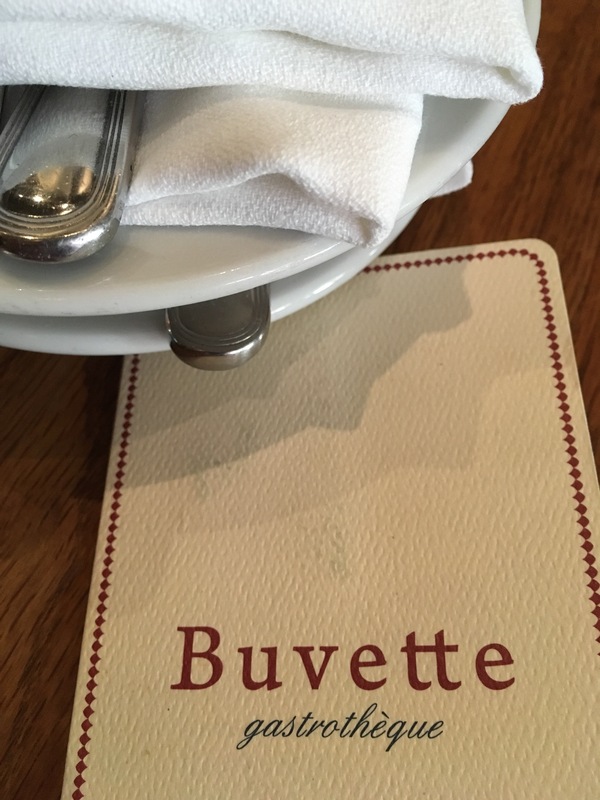 It was such an exciting/stressful/joyous time and I only had a few hours before my flight back to Seattle, so I headed to Buvette for a little comfort food. 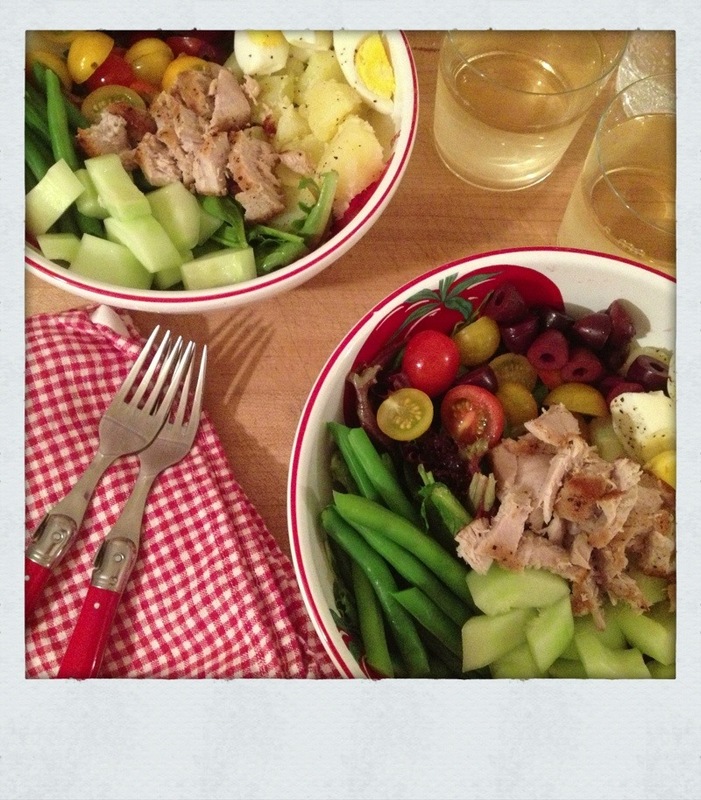 This is a composed salad in a bowl, with tons of yummy/healthy things added. This is not from their recipe, but rather how I remembered it. Pretty darn close, pretty darn tasty. This serves 2, but ever so easy to make for many too. In a small pot of water add 2 to 3 eggs and let water heat to boil, then turn off. Let sit for 15 minutes. You are wanting hard boiled eggs. Once done, take the eggs out to cool. Set aside. In a large pot of boiling salted water add green beans and cook for 3 to 5 minutes. When done, take them out and place in a bowl to cool. In that same pot of boiling water, now add quartered small Yukon gold potatoes that you have peeled. Let cook for 15 minutes or until done. Also set aside to cool adding salt & pepper first. The Vashon Thriftway so often has stellar fresh tuna. 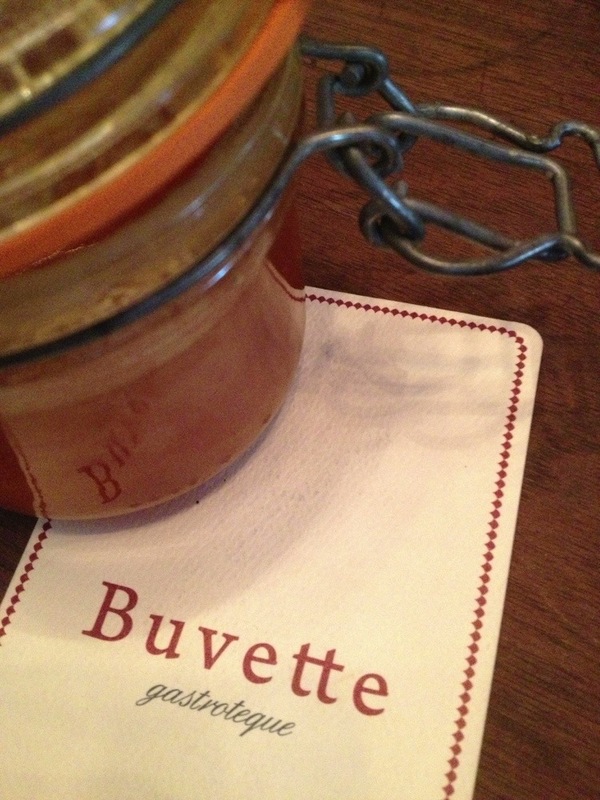 The Buvette version I am pretty sure was top of the line canned, truly, either is fine. Olive oil and salt & pepper your fresh tuna. Put in a very hot non-stick pan, cooking for 2-3 minutes a side. Once done, take out of pan and put on a plate and cover with aluminum foil to rest. Cut a cucumber in half, scooping out the seeds and discarding them. Cut cucumber into small bite sized pieces. Cut pitted olives of your choice in half. I used Kalamata. Cut small cherry tomatoes in half and salt. I forgot a bunch of radishes I had bought the day before at the Market that I had taken out of the fridge and are currently sitting on the counter in town. Arghhh. These would have been a lovely addition too. Whisk in the EVOO to the rest of the ingredients in a bowl. In a large bowl, add half of the vinaigrette and then add mixed salad greens of your choice. Toss together. Add more dressing if needed. With the remaining, toss the potatoes with it to coat. Add the greens to 2 bowls. 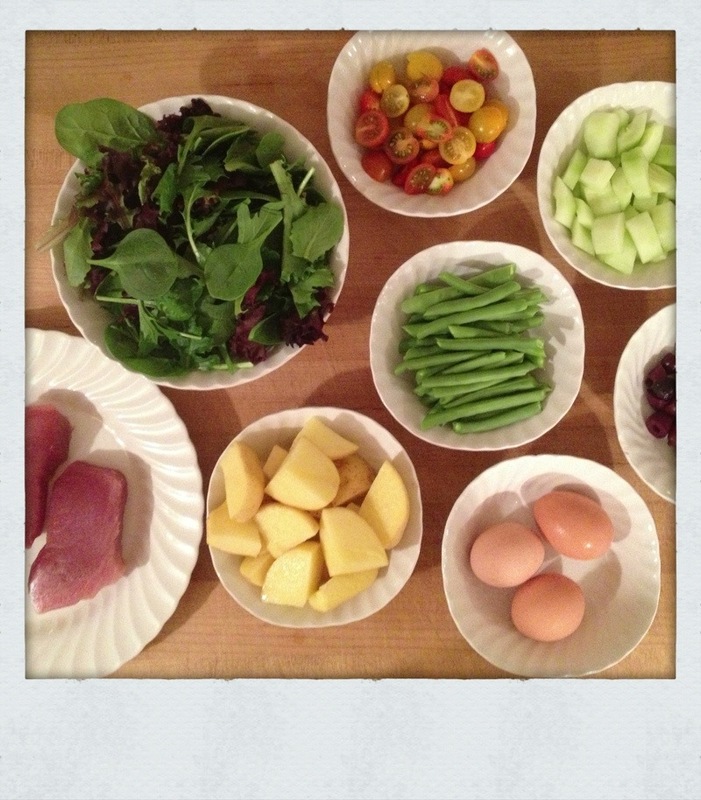 Add each component side by side, creating a composed salad in the bowl. Lastly, break up tuna with your hands into small pieces creating your last grouping in the bowl. Seems like quite a few steps, but trust me, once you take your first bite, you will have forgotten the amount of work you put in. 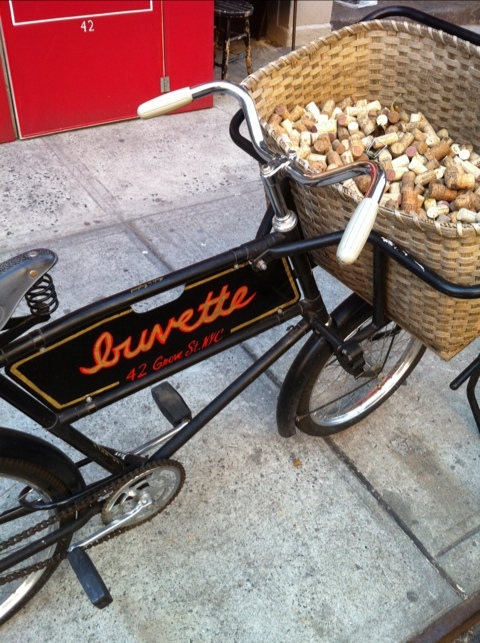 I am still spinning a bit from our 48 hour NYC trip. 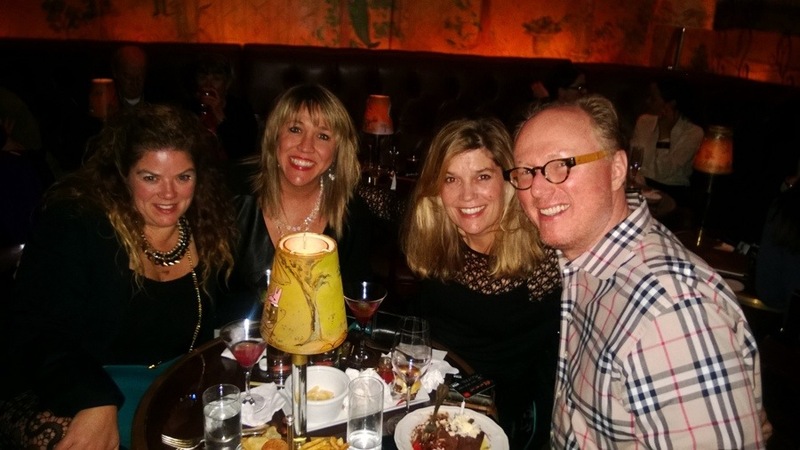 It was the perfect kick-off to my 50th birthday festivities! It was straight back to work yesterday and we had an event to attend last eve, so I am now just wrapping my head around looking thru the photos. I thought this post could be about the itinerary and why/how we chose the things we did to do in such a short amount of time. This will be a bit of stream of consciousness, but I am so often told by readers that they love the suggestions from trips. So here goes. 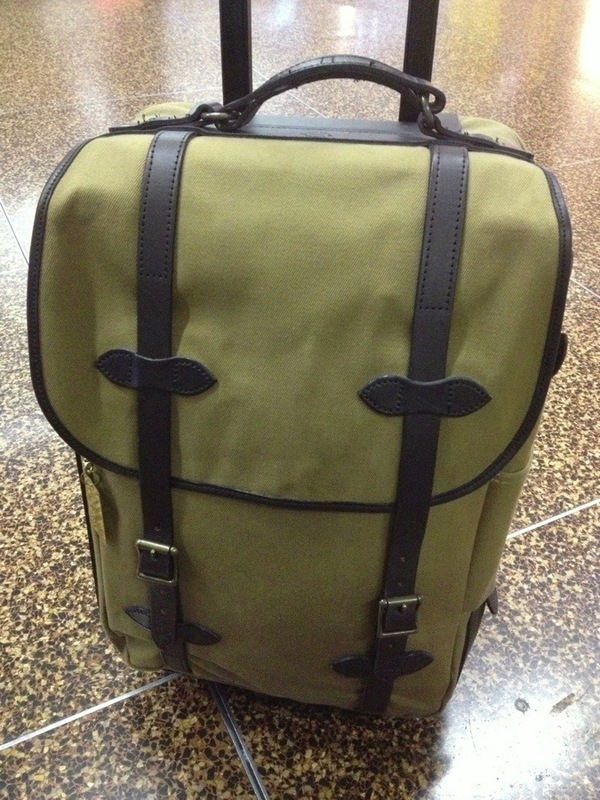 The above Filson rolling bag just right for a short trip. We all did carry-on luggage so that saved time and dough right from the start. We wanted to stay at an iconic/classic hotel. The Waldorf Astoria fit the bill. In spades. Hotels for whatever reason could not guarantee that our rooms would be together if we all stayed in separate rooms, so we decided to go the suite route. I called around to many places directly and was not having any luck. TPS said I should try searching on Expedia, which I have never used. I now highly recommend it! We booked it for quite a bit less than what suites go for in NYC. It is a gloriously grand hotel. 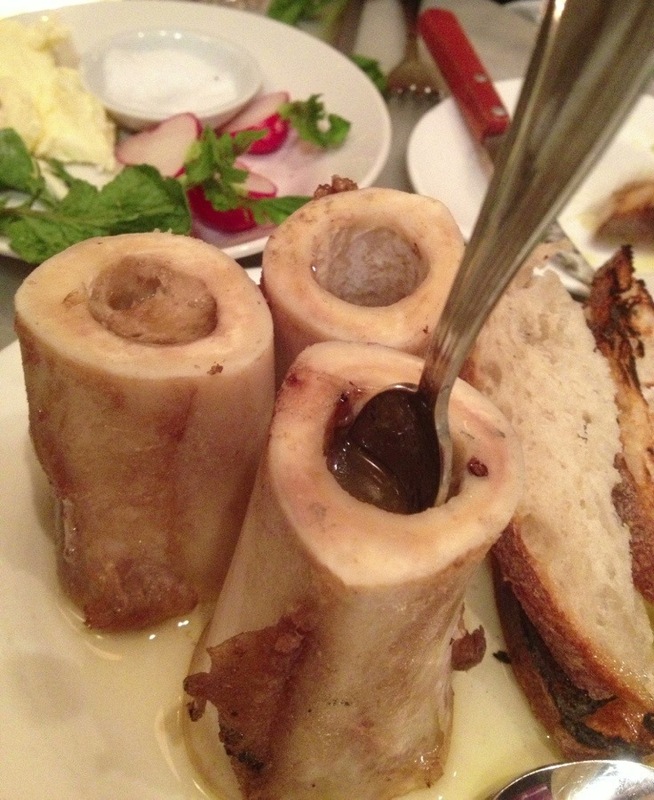 We made as many of our dining reservations in advance, which I also highly recommend. The above from our first evening. 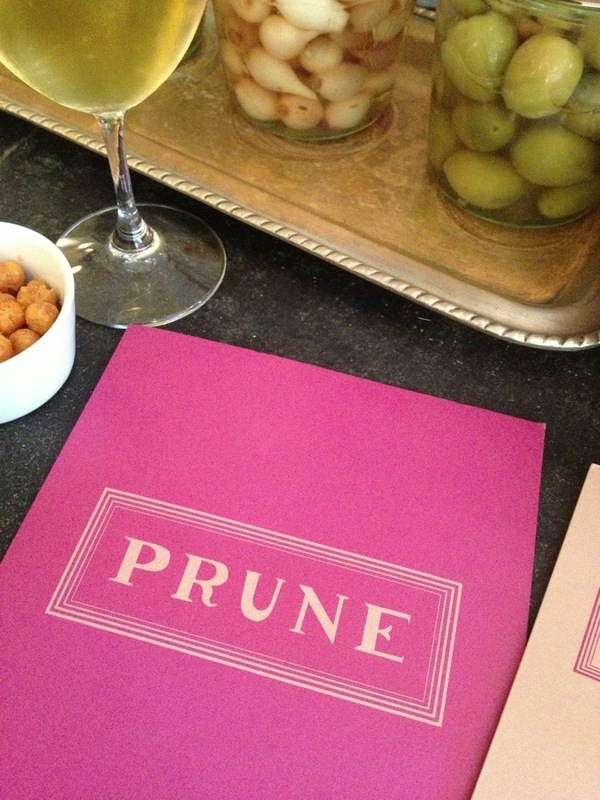 Dinner at Prune. I am still dreaming about it. They gave us a recipe that I will try and write about in the coming weeks. 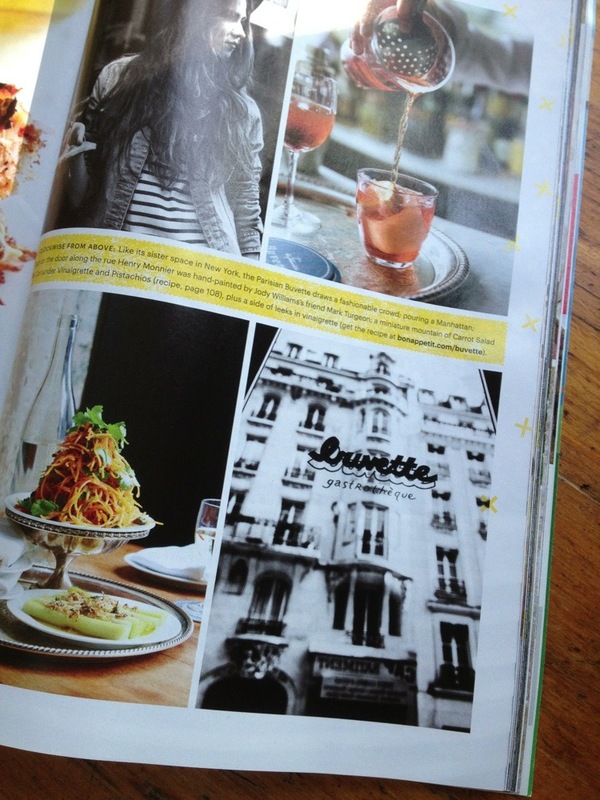 We also found out that the owner Gabrielle is working on a cookbook. I am sure it will be amazing. Amazing. 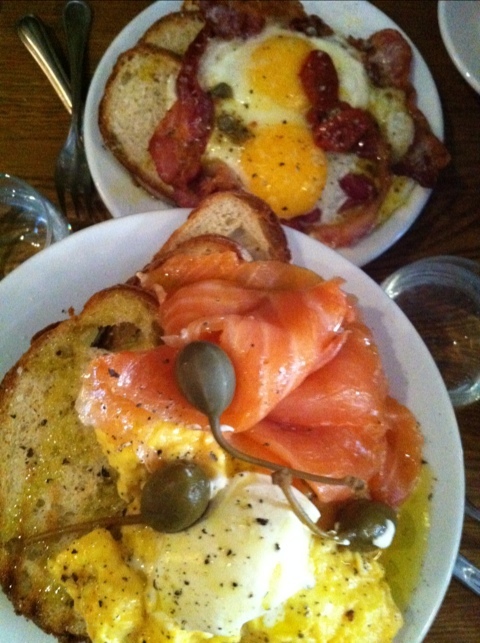 Breakfast at Buvette began our first morning. Yes, yes, I know I gush about this place. But it is so warranted. Once again, we had a meal that was out of this world. Simple ingredients, prepared simply, that will knock your socks off. They do not take reservations, so I find going early for breakfast easiest to grab an open table without a wait. I am a big lover of taxis. You get to look around at the sights while getting from A to B. We took taxis a bunch, but also walked a bunch. After breakfast we walked from Buvette to the High Line, which Catherine, Rise’ nor Linda had been too. It is so fun seeing the joy that it brings experiencing it for the first time. 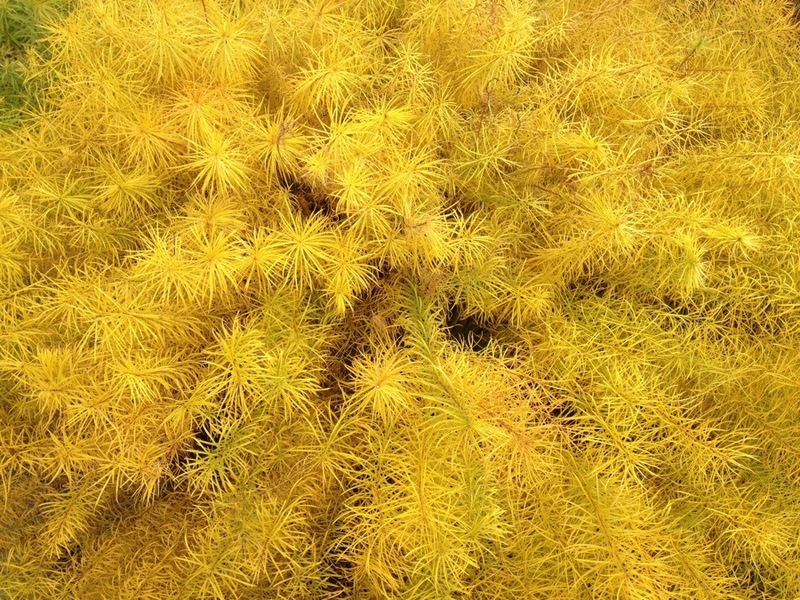 A trip to the city, a walk of the High Line is a must. Such a creative, highly visual use of space. I had heard so many good things about a new place, so I was dying to check it out. 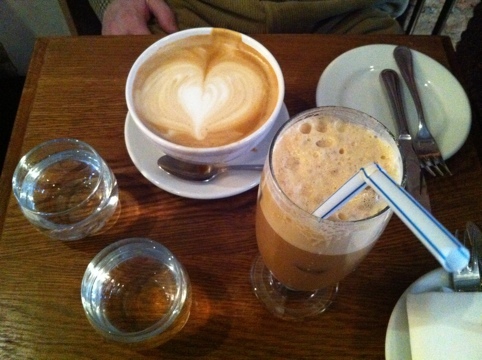 After our High Line walk, we headed to Tipsy Parson on 9th Avenue in Chelsea. What a delight. 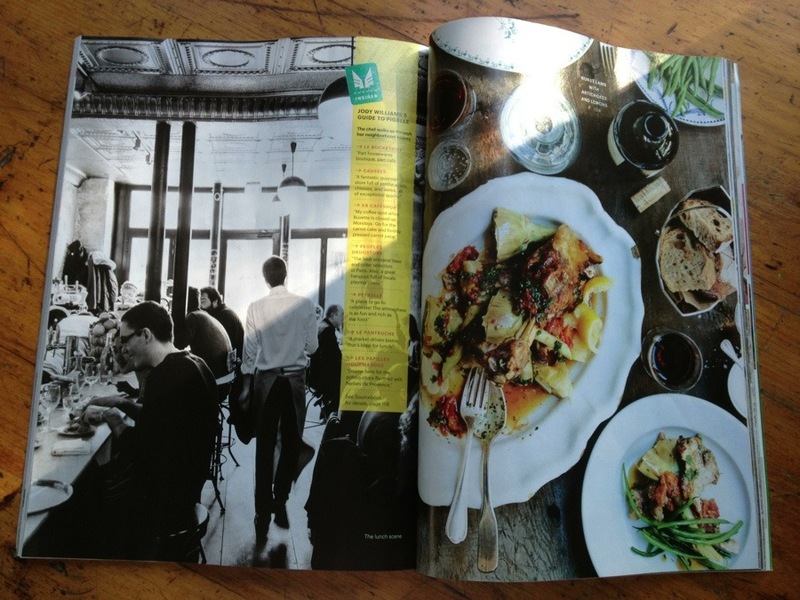 It is very New Orleans menu based, which is fantastic. The space, so incredibly cool. 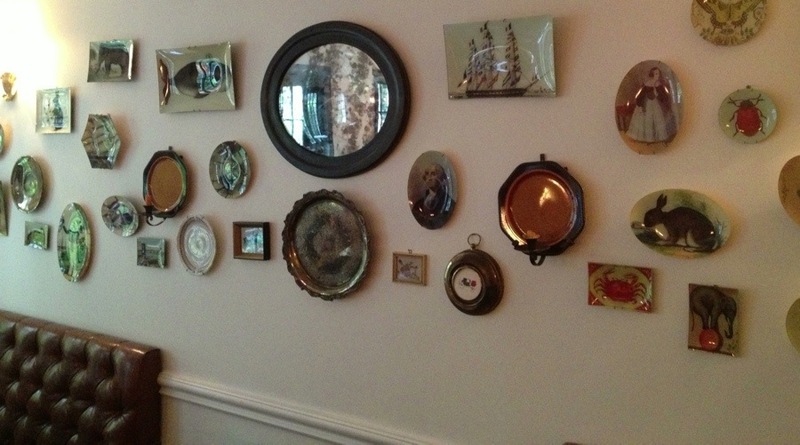 Tons of John Derian’s work, which you all know I adore. 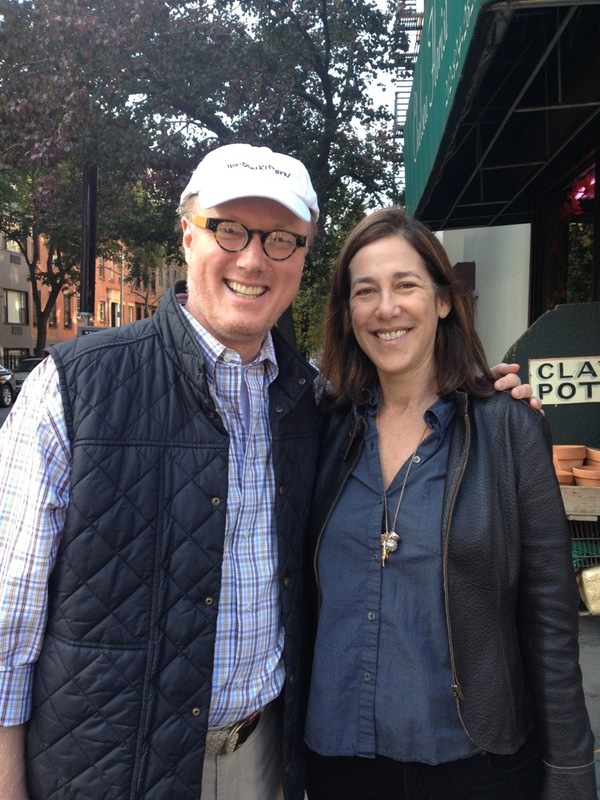 Lisa Birnbach lives in the area, so we made a quick stop to say hello. 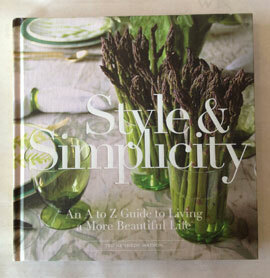 Lisa is the author of The Official Preppy Handbook as well as True Prep. She is also a Watson Kennedy customer. Lisa was so kind and wrote a quote that was used for my upcoming book. She has an amazing sense of humor and had us laughing the entire time. We then hopped into a cab and headed to the offices of my publisher, Sterling. John, my editor, had printed out the first full spread of my book! After getting it from John, we walked to Les Halles and had a celebratory bottle of Veuve Clicquot and looked over each page. It was a very special moment, indeed. Another bit of a walk combined with a cab ride got us back to the hotel for a little refresh and outfit change for dinner. 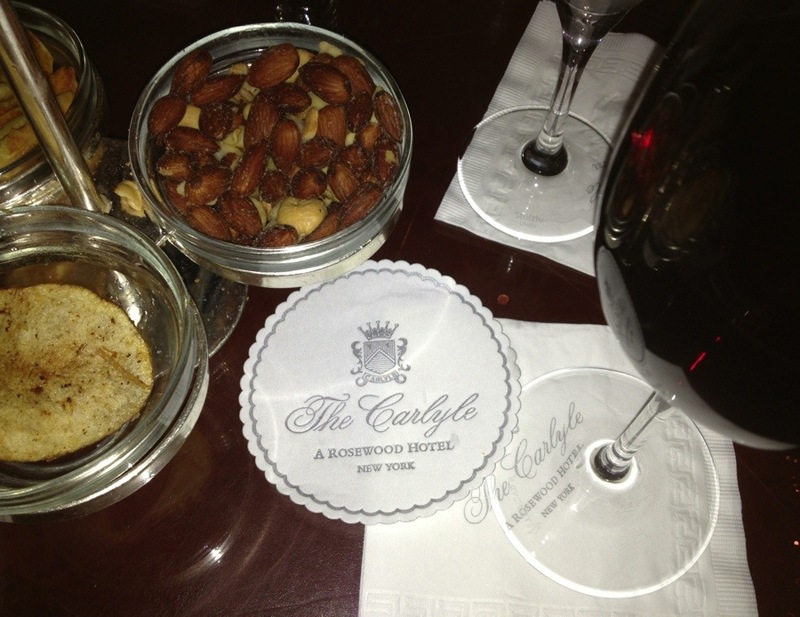 Drinks at Bemelmans Bar at The Carlyle and then a very healthy meander down Madison Avenue for a little window shopping before dinner at The Lambs Club. There I was surprised with my best friend from college, Devin, showing up shortly after we arrived to join us for dinner. I can’t even begin to tell you how much laughter occurred at that dining table. The best! Needless to say, we all slept incredibly well after a very full day. Up the next morning and we headed back to Madison Avenue for a little shopping. Then to MoMA for a little art, then to Bergdorf Goodman for a little more shopping and a late lunch. 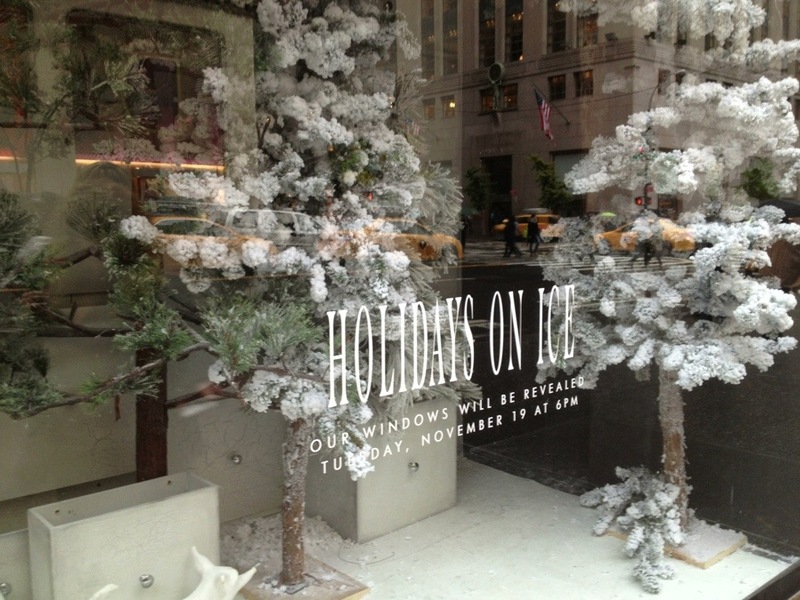 The Holiday windows were in progress, so we did not get to see the finished product. But it was fun to see them actually installing components to the windows. You know I love a good window display! Then it was off to the airport. What an incredibly special trip, made with 3 people who mean the world to me. As I approach fifty (or as I like to say, fiddy) on the 23rd, I am just so overcome with love by those that surround me. I have always been, and feel we all need to be, so grateful/thankful for what we have and what we are given. I truly am. I had to make a quick trip to New York for a meeting yesterday morning. With little time, well actually no time, to plan, I just kind of went on overdrive in the state that we will hopefully soon call our very part-time home. After the plane landed, I hopped the train from Newark into the city. 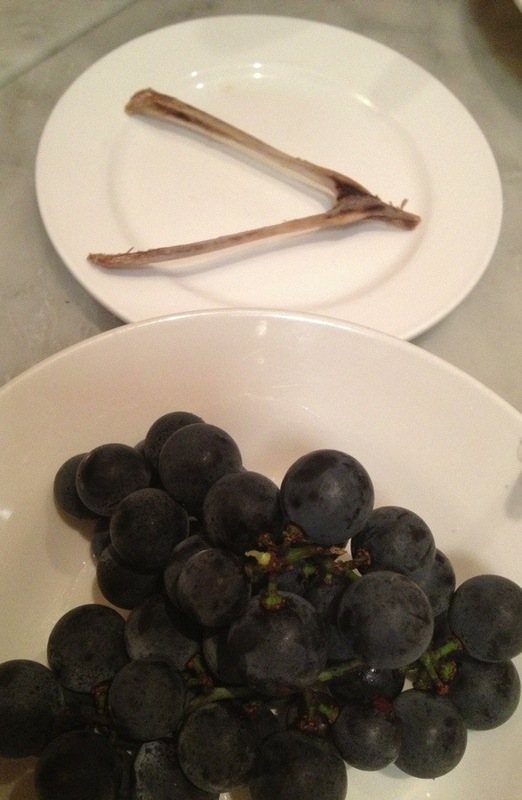 Once at Penn Station, I used my fab Uber app to locate the nearest car in the area to pick me up and take me to Prune. For those of you who have read the blog posts over the past 2 years, you know Prune is a place I hold in the highest regard. I feel so at home in the space. Kind of how I hope friends feel when they are in our home. A place of great familiarity and comfort. I had a sublime meal. Just like always. As well as a lovely chat with the owner Gabrielle. 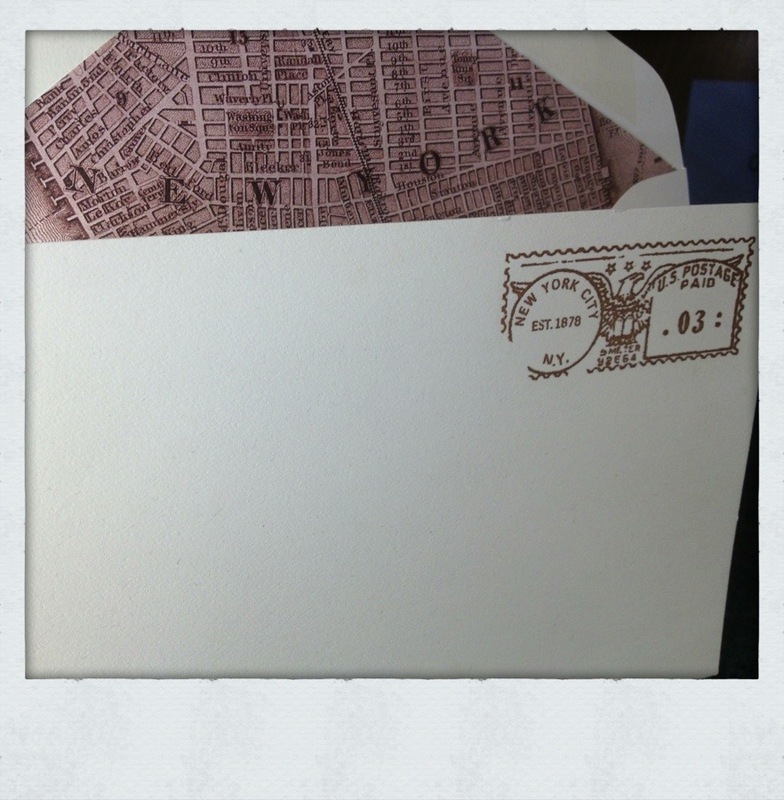 A perfect way to enter the world of New York City. 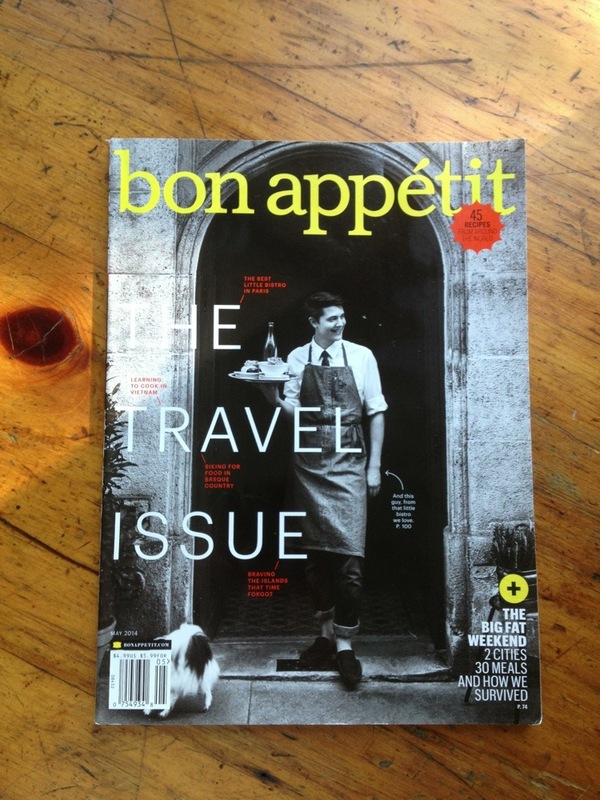 Food, and the remarkable places that create it, makes me feel incredibly comfortable in a place. 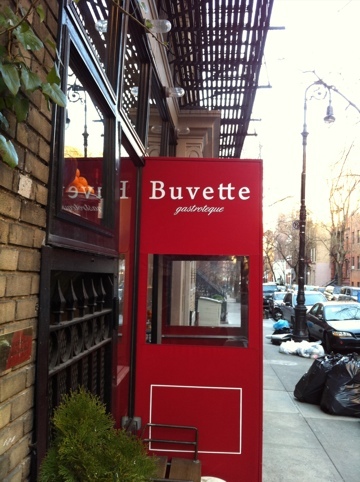 The next day, before I headed back to the airport I made my way to Buvette. Yes, this was very unexpected, as TPS & I, along with Bailey, had such a memorable breakfast there just last Thursday. This is also a place I feel immensely comfortable in. We so often hear at the shops from customers from both far and near, how much they just like being in the spaces. They love how they feel when they are there. This, of course, is one of the greatest compliments I can paid. 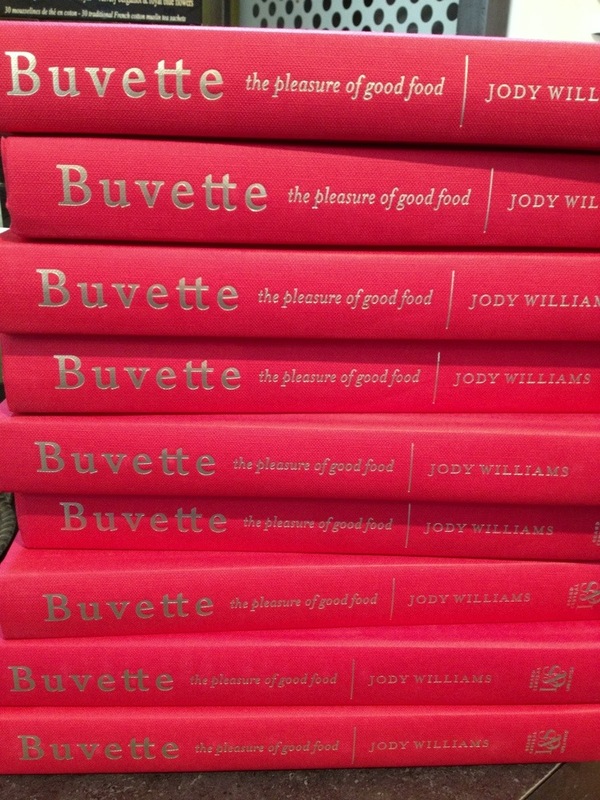 Buvette evokes that very same feeling in me. Every detail, and I mean every detail, has been thought through. Attention to great detail takes much work, but the reward is so great. Add to that amazing vibe one seriously glorious meal, and shortly after I was back up in the sky on my way home to Seattle.